ACAM-600N is a striking camera strap that fuses traditional craftsmanship with contemporary design, to offer a bold accessory for the modern photographer. Handcrafted from premium leather, it’s a stylish choice for men and women. Suitable for both DSLR and rangefinder systems, this extra wide strap has slim end-tapes to accommodate a range of cameras. Strong but supple, it blends functionality with fashion for eye-catching results. Long, slender end-tapes can be adapted to suit your DSLR or rangefinder cameras, offering an all-in-one solution for your equipment. 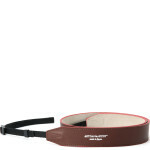 Made from the finest grade of leather, this strong, wide strap has a textured finish that makes it soft to the touch. 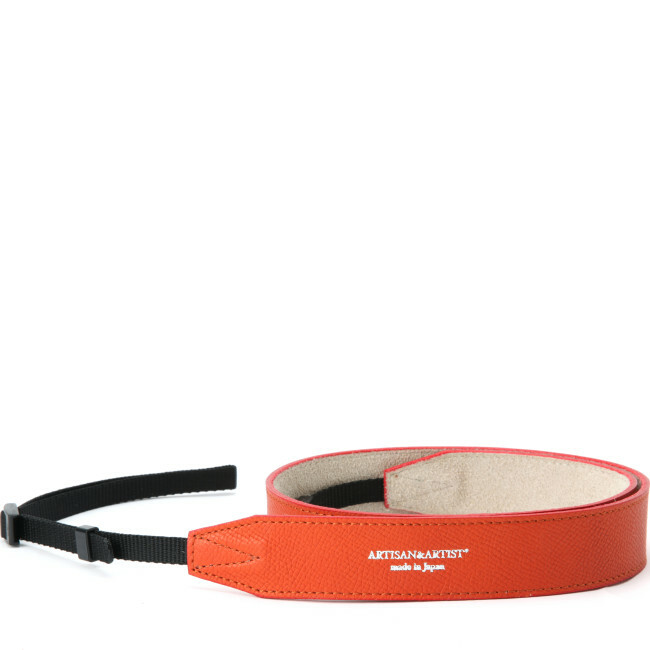 Alter the end-tape to suit your height and preferences, for comfortable wear around your neck all day long. 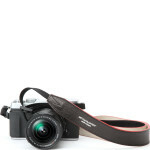 Available in black, brown or orange, with a natural white underside, this camera strap is designed to complement your style. Made by Japanese artisans using traditional techniques, this accessory is built to stand the test of time. 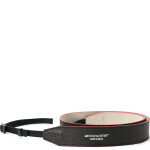 ACAM-600N is a premium leather camera strap, compatible with a broad selection of camera systems. 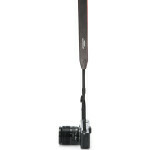 With a simple yet distinct design, it makes a statement for fashion-conscious photographers. With slim, adjustable end-tapes to securely hold your DSLR or rangefinder, this accessory gives you confidence when carrying your camera. 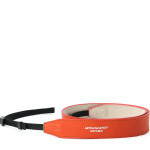 The leather strap is extra wide, to take the strain off your neck and offer sturdy support for your equipment. Made from a soft but hard-wearing grade of leather, it’s designed for comfort during long days on set. Choose the black, brown or orange strap to complete your look; with a grainy finish and the signature Artisan&Artist logo on the side, this camera strap is a must-have accessory for the discerning photographer. Handcrafted from high quality leather, this camera strap has been made with comfort and practicality in mind. The supple leather will mould around your body over time, offering a soft feel and comfortable wear that won’t let you down. However, to prolong the lifespan of your purchase, apply a natural leather wax occasionally to condition the exterior. Founded by Seichiro Hangui, a professional photographer with a passion for craftsmanship, Artisan&Artist constantly seeks ways to improve the workflow of photographers around the globe. Their range of camera bags and accessories are renowned for their style and durability, giving them a reputation that is second to none.